The N1 video encoder for the Matrice 100 offers video signal transmission and firmware upgrade capabilities if you are not using the DJI Zenmuse X3 as your recording device. 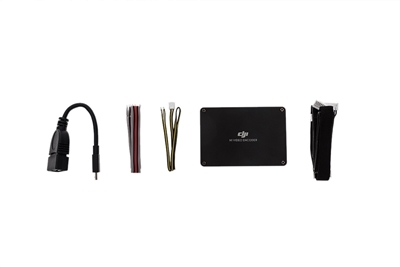 The AV or HDMI port on the encoder receives video input from the non-DJI camera to generate a live HD video feed in the DJI GO app. In addition, users may utilize the Micro USB port on the encoder to upgrade the firmware of various modules on the M100.